The 2014 DBV Convention is taking place from January 24 to 26 at the Ahorn Sportpark in Paderborn, Germany. Registration for the baseball and softball clinics as well as the umpire and scoring training is open through convention.baseball-softball.de. Mister-Baseball.com is going to introduce the speakers in the coming days. The 69-year-old Californian Pat Doyle doesn’t need much introduction to European Baseball. The longtime college coach and teacher will head this year’s delegation of the International Sports Group (ISG) in Paderborn. 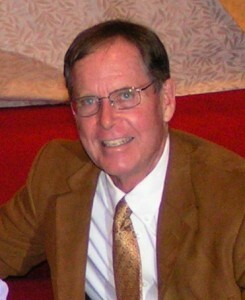 After a short career as Minor Leaguer in the Boston Red Sox organization (1966-67), Doyle became an educator. He was a teacher and coach at Tokay High School in Lodi (1969-76) and a professor and coach at San Joaquin Delta College in Stockton (1976-2006). He also worked as consultant for Major League Baseball (1993-2011) and in this position coordinated the MLB Envoy Coach Program. Doyle additionally coached the Anchorage Glacier Pilots in 1990 and 1991, as assistant coach Team USA in 1993 and 1994, the Morada Little League team in Granada, as well as the national teams of Ireland (1996), Great Britain (2010) and Israel (2011). Besides that he has been an active speaker on numerous baseball clinics at the national and international level. He is on the board of directors for the International Sports Group (ISG) and PLAY GLOBAL! I am committed to be a proactive, diplomatic, passionate and hardworking ambassador for baseball. I feel that sharing my expertise in coaching and developing players and coaches translates into an environment of learning that is very effective. Baseball has become a common denominator between cultures that fosters communication and understanding. It allows people to look towards their similarities not their differences. I have truly been blessed to have experienced a large variety of cultures and found people to be the best natural resource every country has to offer. The game of baseball has been overly generous to me and my family. I plan to keep giving back to all of those that I can so they can hopefully experience all of the positives that I have gained from baseball. For more information about the DBV/ISG Convention 2014, please visit www.convention.baseball-softball.de.